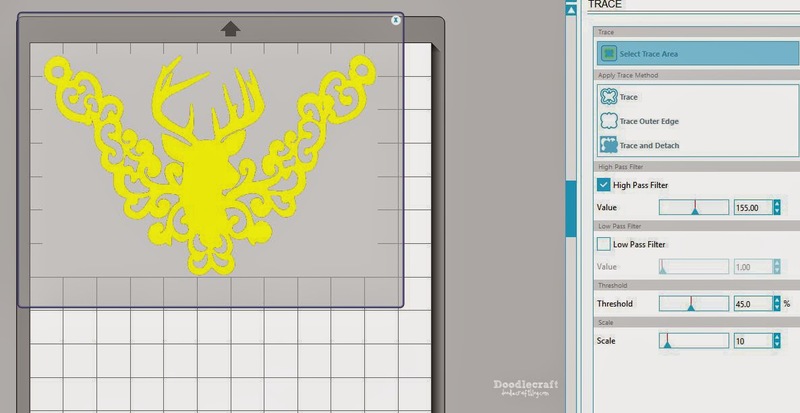 Doodlecraft: Gold Deer Head Trophy Filigree Necklace! This is an amazingly simple DIY project! yes...drew them together into this fabulous Stag bust on filigree swirls! 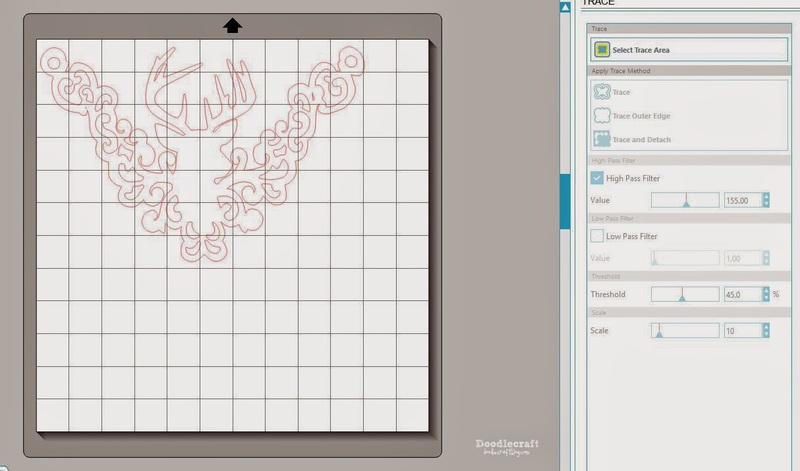 I scanned them into my computer and used the power of photoshop to make it ready to import into the Silhouette Studio software. Right click to save off to make your own...personal use only! 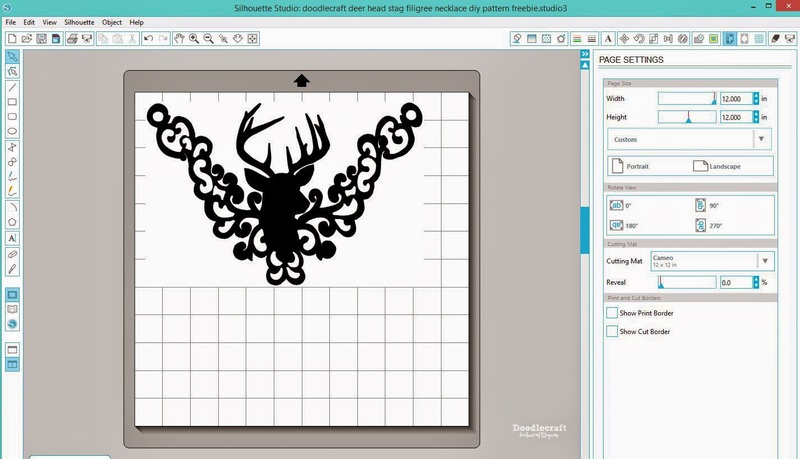 Import the picture into Silhouette Studio. 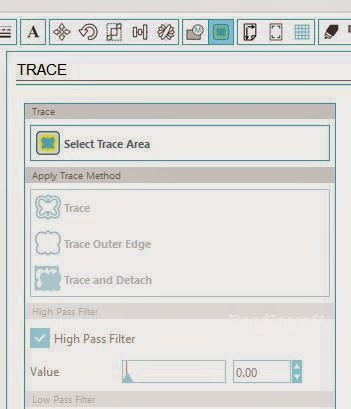 Then select the TRACE AREA button. 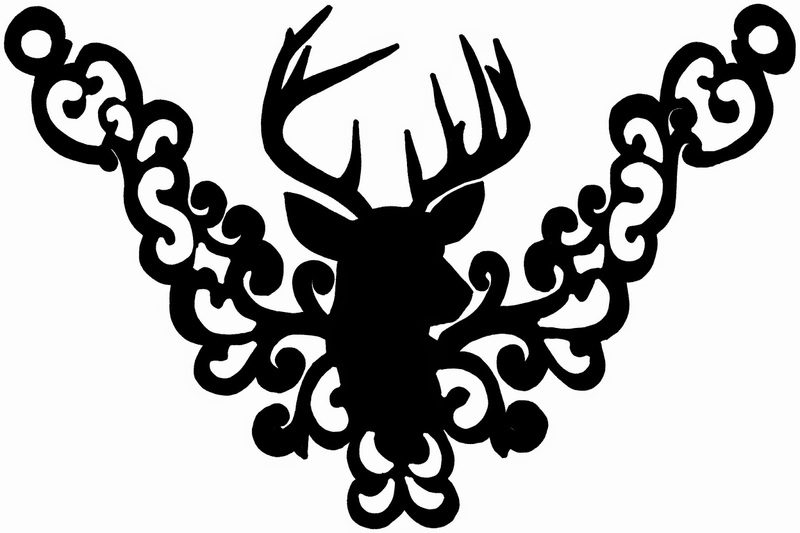 Click and drag it over the entire deer image. 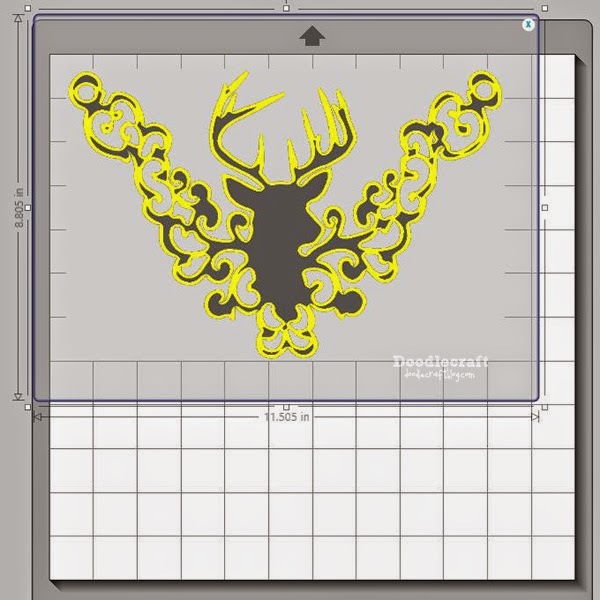 until your deer head is completely yellow. Voila! You are ready to cut that stag out! At this point you could cut it out of vinyl...printable gold foil...or just paper! My settings were custom: Blade depth 33 and speed set at 1. And set on "Double Cut"
After it cut it out...I just clicked "cut again"
It took 8 to 10 passes to cut out this thick plastic! Carefully getting all the inside holes too. Then I put it in the oven set at 350* F for about 5 minutes. hand in case you need to keep it from folding on top of itself...then let it cool. Next use a paint marker or some Gold Spray paint and cover the plastic! It's amazing...no one will even guess that this is a shrinky dink! It looks like laser cut metallic acrylic! Next, you'll need 2 jump rings and some chain! Just use jewelry pliers and hook the chain on the end loops. I made this one adjustable so it can be a long necklace or a choker! Admit it, you are impressed! Please share this tutorial with others! Super fun gift idea too! that is awesome!!!! I had no idea!